Use Holdit! 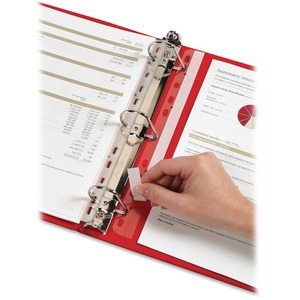 binder insert strips to add drawings, brochures, magazines or important documents to your ring binder without having to punch holes. Strips are self-adhesive.